AgilQuest’s Forum room booking software integrates with Intel Unite® to kickstart any meeting and eliminate the setup time that eats into productivity and collaboration. 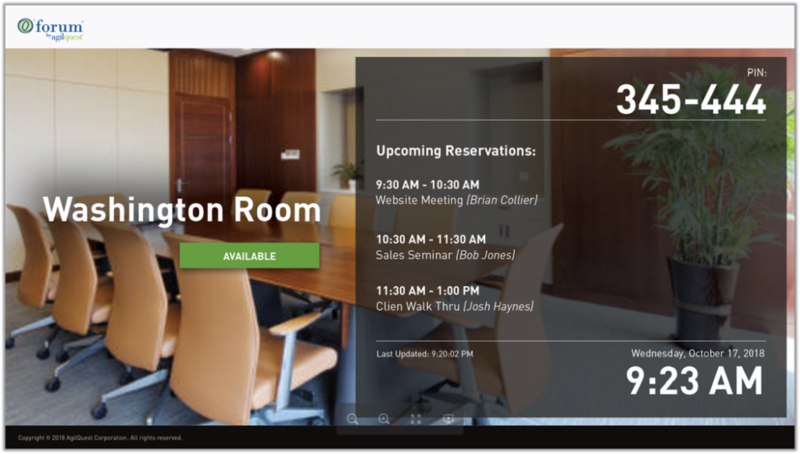 A user can now book a room and check-in via Digital Sign, Mobile App, or Web Browser and simultaneously launch the Unite application to create a seamless user experience from booking a room to starting a meeting. Once your meeting room is booked and checked-in, the Intel Unite® solution initiates and lets you quickly and wireless connect displays, employees, and mixed technology environments so your team can share and collaborate immediately and seamlessly, from wherever they are located. Add on AgilQuest’s Intel® Market Ready Solution Digital Sign, and this Unite® integration reduces friction to finding a place to meet and enables users to spend more time collaborating. Forum offers several interfaces for booking and check-in, including digital signage, mobile apps and a fully responsive browser interface. 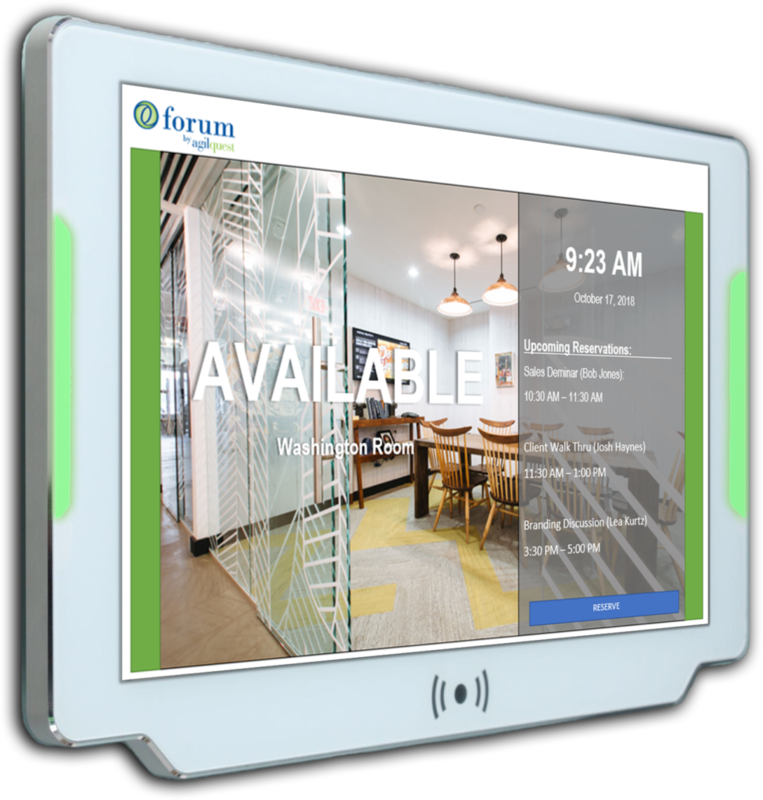 Utilize the Forum’s Room Kiosk Intel MRS Digital Sign for maximum performance and security. Create a modern, seamless experience from the sign outside the door, to the launch screen in the meeting room.